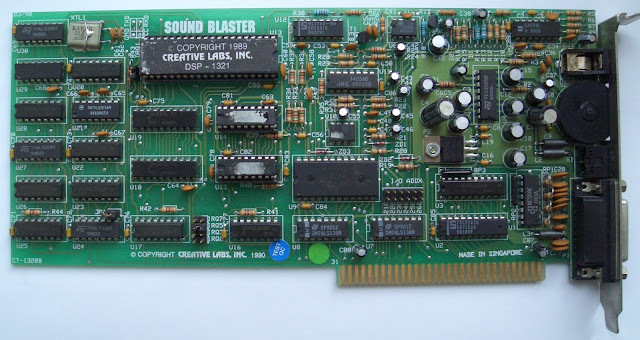 Hi, you should correct your SOund Blaster 2.0 entry. It is incorrect to state that non-REV boards only work with NS GAL's. Lattice ones do just as well. SGS Thomson ones i tried did not. Wow. You really can find out anything on the Internet! I have a question about the OPL3 on old sound cards which I suspect you might be able to answer, if anyone can. Reading through the OPL3 datasheet I noticed that it actually has 4 (!!) audio channels for output. They're named A, B, C and D.
But what were the other channels generally connected to (if anything?) 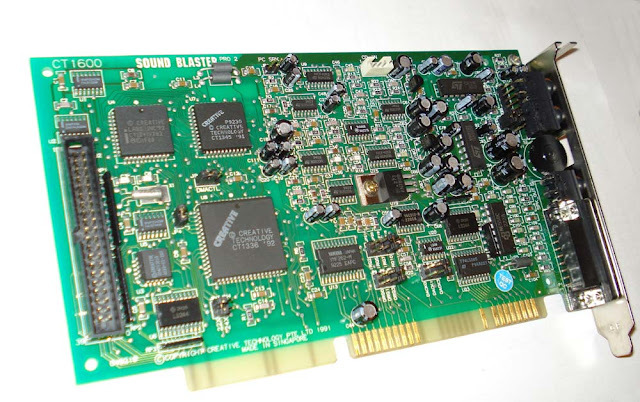 on PC sound cards? How were these extra channels typically used in other devices? The YMF-262 multiplexes (combines) channels A & B on one pin and C & D on another pin. Each of the nine or six FM operators could be output to any of these channels. With the one YAC-512, there would be no need to use channels C & D or channel C would be identical to channel A and channel B to channel D.
You could obtain four channel discrete output if you use two YAC-512s and wire them as shown on page 5 of the datasheet. The YMF-262 also sends out the demodulation signals so the YAC-512s will only output one pair of channels. Of course, no PC sound card ever did this. However, I do not know about other devices. Thank you for the detailed reply! 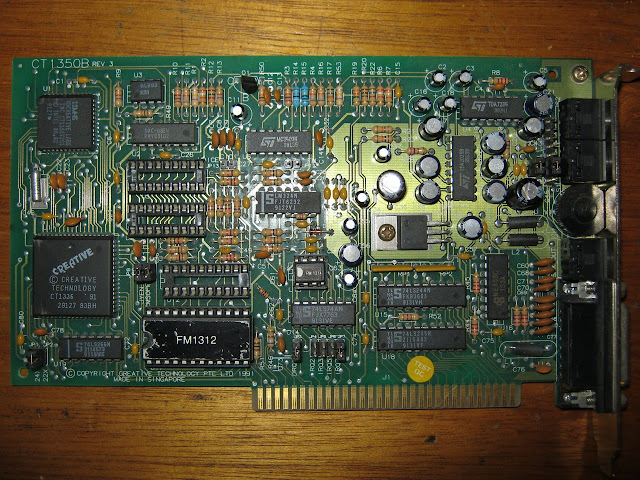 I have one more question :) Do you know of any "off the shelf" devices other than the YAC-512 which can decode the digital output from the YMF-262? 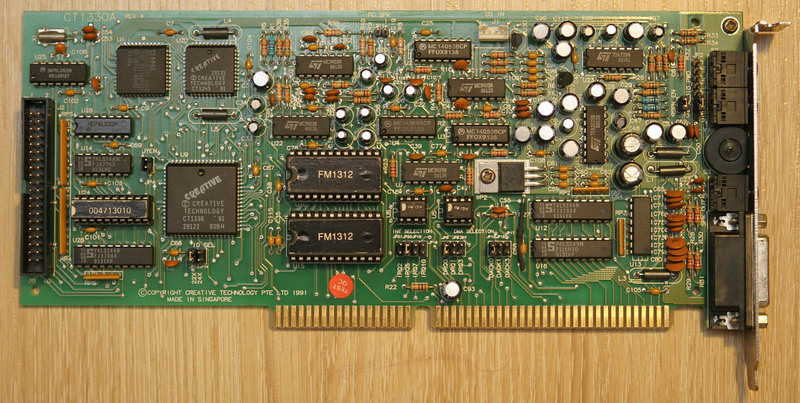 Or is that multiplexed serial digital output format specific to the YMF-262? First is a Sound Blaster AWE32 CT-2760, CT-3900 or CT-3980. 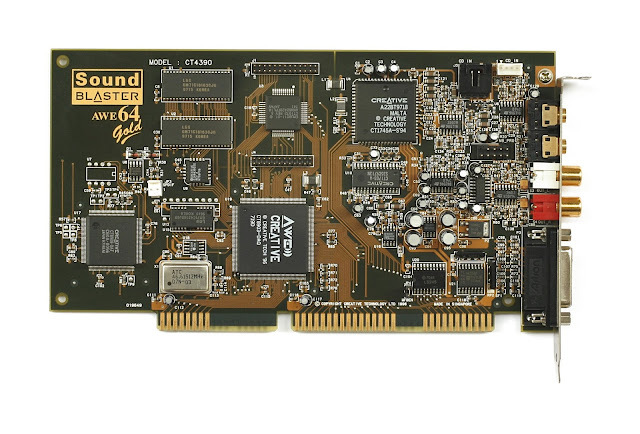 They have a real Yamaha YMF-262 core integrated into their chips, later models have a Creative clone that does not give identical sound to the discrete chip. 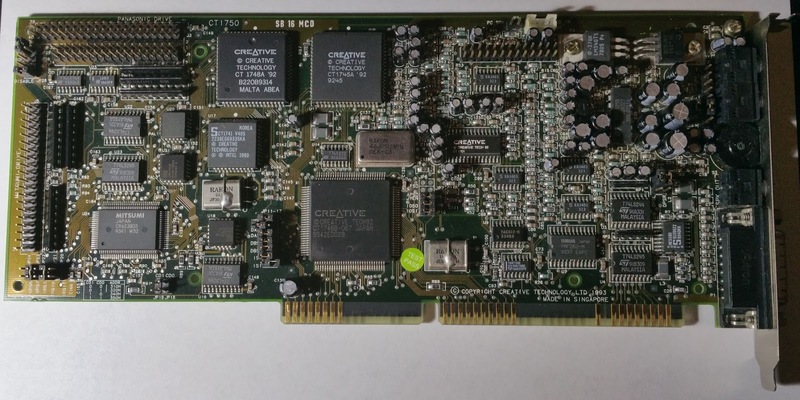 The second option is a PCI card with a Yamaha YMF-72x chip on it and an SPDIF connector on it. They also have a YMF-262 core in them that sound perfect. Either option will give you an S/PDIF output that a computer can understand without too much difficulty. According to the Yamaha YMF754 datasheet, the OPL3 output is run through sample rate conversion. So yeah, you get digital data, but it's 48 kHz instead of the ~49.7 kHz of OPL3. That makes it impossible to capture the actual digital produced by the OPL3. It may or may not be a problem for bruce. I don't have any of the AWE32s listed, but wouldn't they have the same problem (SRC messing with the OPL3 data)?